A young woman is seen praying in the lovely pendant by Vera Smirnova. Her face is very tenderly drawn, and there is an ample supply or gold detailing in her luxurious wardrobe. 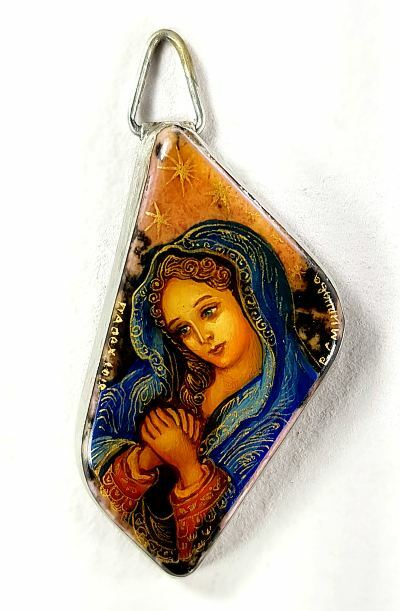 The miniature is painted on a small piece of rhodonite which is set in german silver. Name, date and place of artist written on sides of drawing.